Happy 90th Birthday, Lee Kuan Yew, sir. 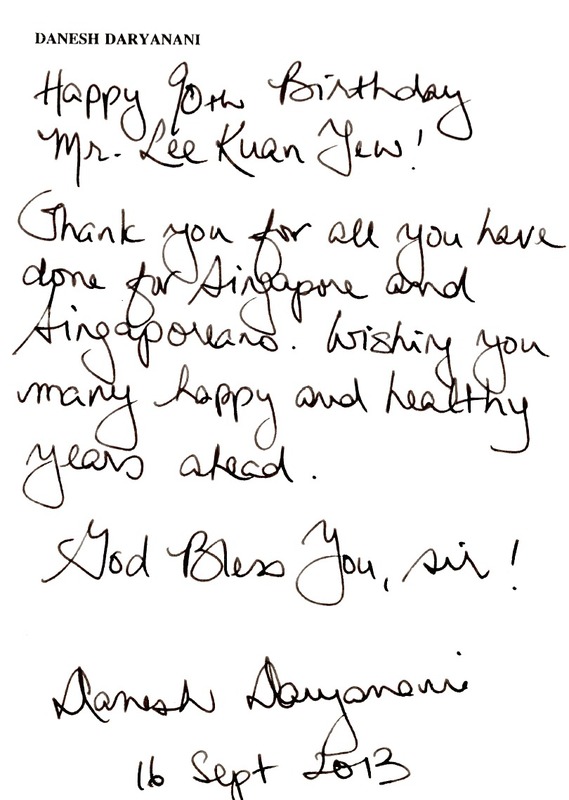 Mr. Lee Kuan Yew, wishing you a very blessed birthday. I know you have a penchant for handwritten notes. This is a hybrid. Handwritten and digitised – representing the romanticism of the past and progress for the future. I also just finished your book, “One Man’s View of the World“. I enjoyed it. I’ll post one man’s review of the book soon. In the meantime, have a fabulous birthday. God bless you. (I know your religious worldview sir, but please indulge me). my social network. Great work!